Why is This Clay a Preference? 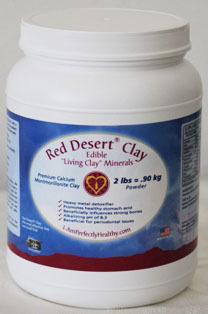 Red Desert® Clay moves into the bloodstream and straight to our cells. What most people are looking for is a specific calcium montmorillonite detoxification clay that will move into the bloodstream and to the tissues, attach to different pathogens and toxins from many sources, with the goal of reducing the toxic load on the body. The size of each particle of Red Desert clay is tiny enough to move through the intestinal lining to reach toxins at the cellular level. Most of the particle sizes are between 2 and 3 microns. A hair on your head is likely between 50 and 75 microns in diameter. This is very, very tiny. Strengthening bones - contains naturally occurring silica (55.3%) which assists in moving calcium into the bones. Red Desert® Clay is the clay which was used by US Astronauts in their manned space program. Studies at the university level (UCLA, UC DAVIS, Texas A&M) were conducted on the effects of clay supplementation using various clays from all over the country. Red Desert® Clay showed unquestionable results. Unfriendly Bacteria, E-Coli & MRSA - calcium montmorillonite clay has an affinity for many unfriendly bacteria both internally and externally i.e. MRSA, buruli ulcer, E-coli. Although we have not performed any studies, the effects of clay in arresting unfriendly bacteria in the body is currently being researched at the university level with positive results. Certain clays have been known for centuries to improve specific health issues. You will have to use the clay yourself and see how it works for you over the weeks and months. It can be taken internally and used externally as well. Diarrhea / loose bowels - For people and pets with loose bowels, ingesting Red Desert® Clay several times a day for one or two days will usually stop the symptoms. After that you can take a maintenance dosage of clay for the nutrients it contains and for the daily detoxification it provides. Always check with your doctor if symptoms persist. Acid reflux symptoms - Edible calcium montmorillonite clay (it must be edible) will often neutralize the overly acidic situation in the stomach (although this is not the only thing to do for this condition). A fair amount of acid reflux symptoms are caused by a long term and continual consumption of an overly acidic diet (excess coffee, chocolate, fried and processed foods); drugs that may have stopped the body from producing hydrochloric acid on its own, digestive imbalances, from taking steroids, or even from bulimia/anorexia situations. 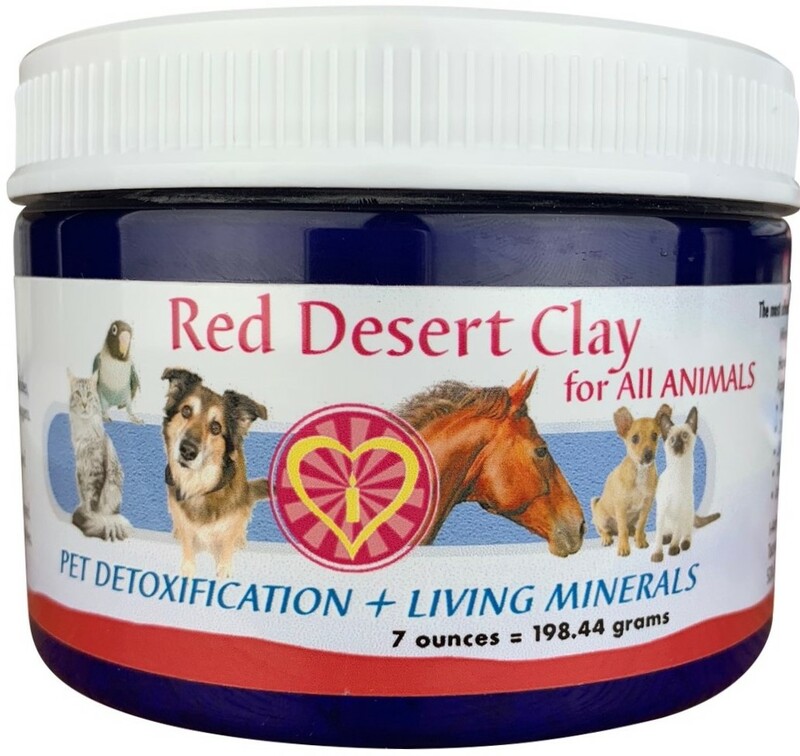 Eating a little Red Desert® Clay will usually neutralize the symptoms in maybe 10 minutes and provide relief while the other dietary changes are made. With a little knowledge and information you can reverse most acid reflux problems completely. A nutritional consultant can help you. Always check with your doctor prior to using the suggestions offered. Teeth/gums/periodontal issues/dental infections - Brushing your teeth with Red Desert® Clay once a day after flossing can do wonders for the teeth and gums. The clay binds to the unfriendly bacteria which lives around the gum-line. This is the same bacteria that causes gum disease. My dental pockets disappeared in a few months once I started brushing with this clay. Since the teeth are bones, eating this clay can help move calcium into the bones due to its high naturally occurring silica content - 55.3%). Also, many have found putting the clay against an infected gum to effectively remove the bacteria causing the infection.